Leave those winter blues behind. Make anything that says SPRING using pastel colours. 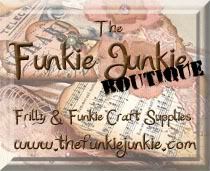 It is your choice, a card, canvas, 3D or a tag, etc. 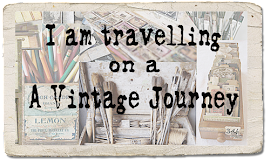 but remember it should be in one of the vintage; shabby; mixed media; art journaling; industrial or steampunk styles that we favour. 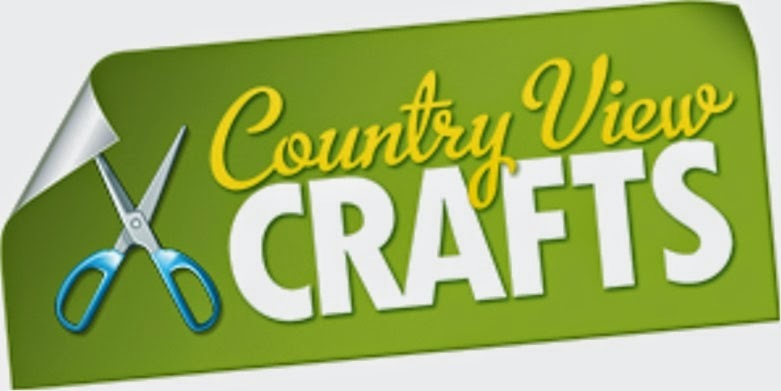 We are sponsored this month by the lovely folks at Country View Crafts and the winner will receive a £20 Voucher to spend in their shop. The Creative Guides have certainly risen to this challenge in their usual fabulous way. I think you will agree that this is some splendid "Spring" art. So let's get started. 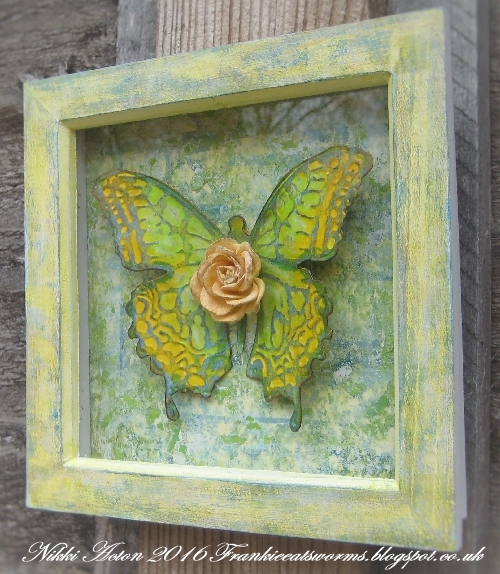 I have used my DecoArt supplies for this challenge creating another of my wall hangings. It's always the signs of the new leaves and spring flowers bursting from the cold depths of winter that excite me about this time of year so I have gone for lots of green with a touch of yellow and orange to echo the colours in my garden. I needed a birthday card for someone with a birthday in Spring and decided to take my Tim Holtz Lady Rose stamp set out for a play. 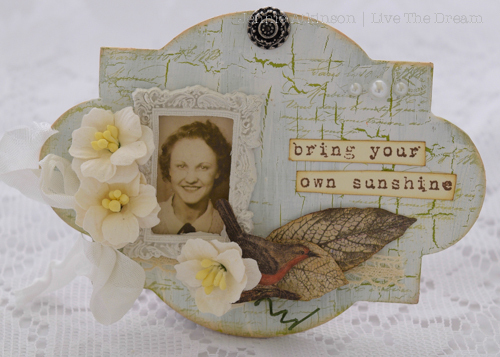 I kept it in a soft and vintage style which I think suits this set of stamps and chose soft Spring colours for my background. More details can of course be found on my blog. It may be Spring here in the north but there is nothing out in the garden except snowdrops and a lovely little Robin! So this small hanging celebrates their presence and of course as it is still cold you need to bring your own sunshine! There are more details on my blog if you would like to see more. When I think of Spring my mind always turns to my garden; nature, fresh new growth and the birds that visit my garden each year. This is where my inspiration began. 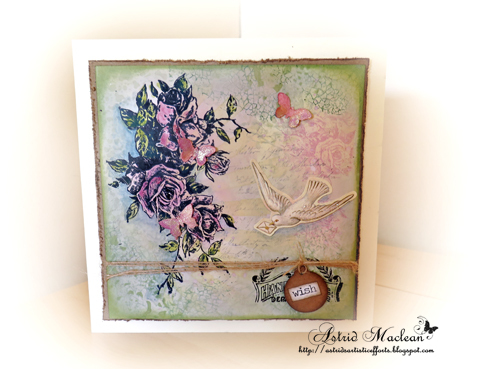 Distress Paints in fresh spring colours were key to this piece combined with Tim Holtz Bird Silhouette Die. Corrugated card added the texture I needed to this piece and added that natural/recycled touch I was looking for, combined with fresh uplifting colours. Pop by my blog for step by steps. like to see more please visit me HERE. I really love Spring with the new growth in the gardens and hedgerows. I'm also totally in love with the lambs and the baby rabbits so I decided to go completely vintage with my ATB. 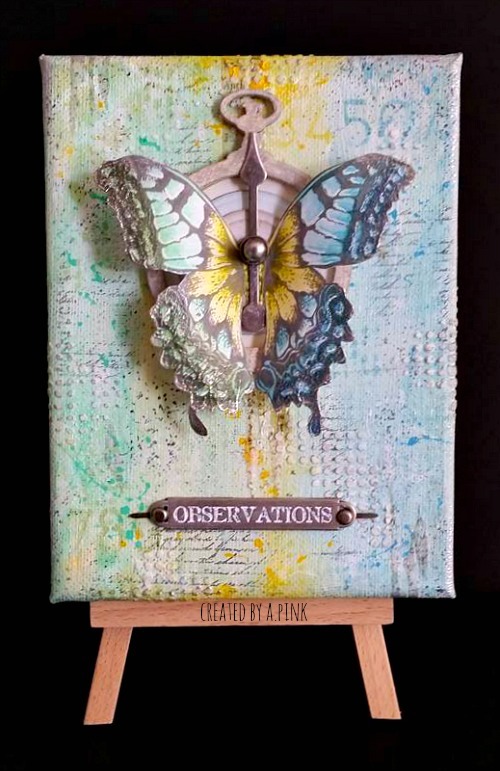 Lots of DecoArt products, printable images, stencilling and crackling! 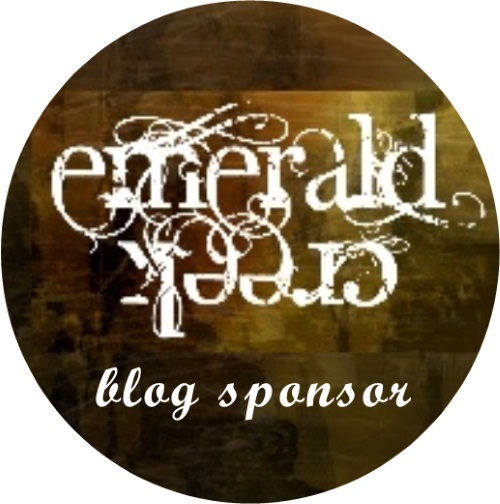 For more details please visit my blog. I love Spring. It's by far my favourite time of year; the days are getting longer and lighter, the birds sing, the buds and blossoms appear and there's a real sense of optimism in the air. I'm celebrating this wonderful time with a floral garland and a couple of fun ideas for using your Distress Crayons. Find out more about it on my blog. Thursday May 5 to enter. 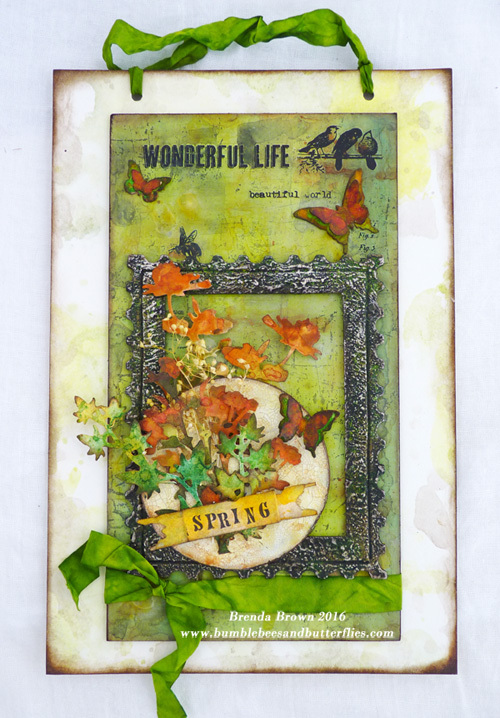 I can smell the spring flowers and feel the sun warming my face from all the fabulous Spring inspired art! Amazing inspirations again!! Beautiful spring art works! 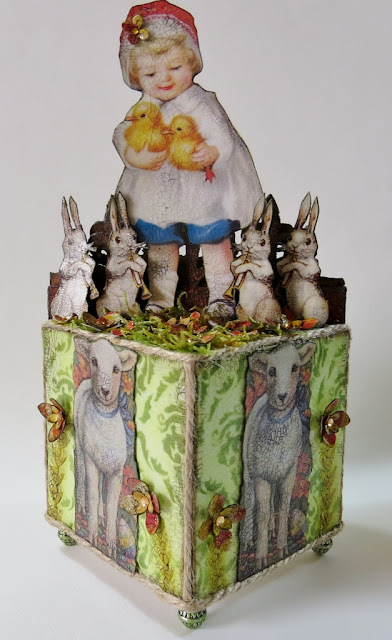 Stunning interpretations of Spring, beautiful projects from everyone. Terrific projects all round - it's been a lovely springtime treat to come visiting. What a fabulous line up of gorgeous projects from my teamies, love all of he wonderful designs and creations. Thanks to the entire team for making this a wonderful challenge. I'm looking forward to seeing what our wonderful followers have to share and to the Destination Inspiration post as well. Hope it is warm and sunny where your are. Thanks for the inspiring ideas from the team. WOW great inspiring art works, thank you! Gorgeous DT inspiration for Spring just what's needed today as it has been raining and grey all day :( at least making my AJ page cheered up a dreary day and made me think "Spring is in the Air", thanks for the challenge. 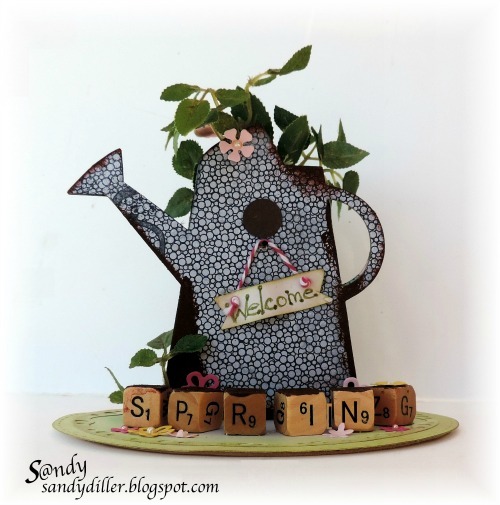 Great DT spring Projects here! Wonderful Spring inspired works of art! !